A northern beauty of the Philippines, Batanes is a group of islands filled with vast pasture lands, rolling hills, towering volcanoes, dramatic cliffs, and crystal-clear waters — its untouched beauty, as some would say, is proof of the local people’s (Ivatan’s) respect for the laws of nture. However… its far distance from the mainland, the extravagant flights and sudden weather changes can all make the trip an impossible task. In fact, these have made the islands an elusive paradise in itself; but like a challenge, a lot of people would always aim to unravel it for themselves. 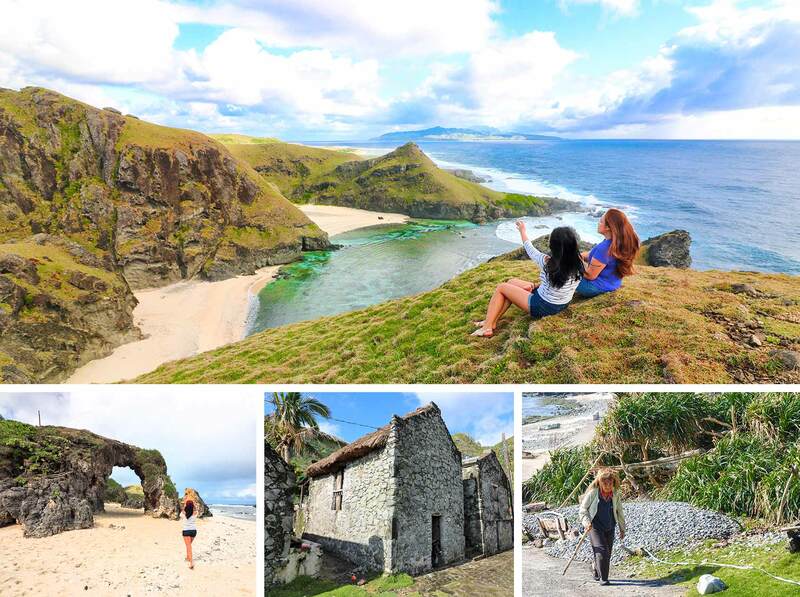 For those who were fortunate enough to visit Batanes, it’s a common thing to hear them say that the terrain is akin to that of New Zealand, Ireland, or the Scottish Highlands. I’ve only been to New Zealand and I do see the resemblance. As a matter of fact, I would often beam with pride whenever I hear or read these compliments — after all, Batanes is my beloved hometown. I am really proud to be a pure-blooded Ivatan, and I absolutely feel lucky that I was brought up in these magnificent islands right from when I was born and up until high school. FACT = One “downside” of growing up in such an amazing place like this: I’m very hard to please when it comes to natural terrain. Example: When I visited Austria, Croatia and the northern part of New Zealand (as examples), most of the people around me were crying out praises when they saw the beaches, mountains, cliffs, and/or hills. Me? I just stood there and thought to myself, “This is nice.” And that was it. This is NOT to say that those places weren’t great — because they were! It just so happens that scenes like that were ‘normal’ to me; so in order to get a more exuberant reaction from me, it has to be far more incredible (Faroe Islands would be an example). Naturally, as a local, a lot of you have been asking me for tips and top things to do in Batanes. When this was first asked of me, I was at a complete loss because I left the islands when it wasn’t popular yet as a tourist destination; hence, as an example, I didn’t know much about existing logistics and hotels because they didn’t exist as much before! (It was only recently that the islands became well-known nationwide). Nevertheless, as of this year, that has changed because I had the chance to revisit my hometown after 10 long years! 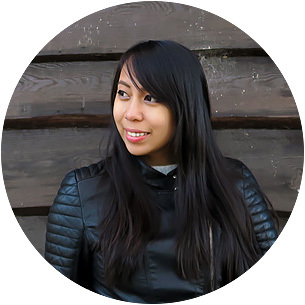 I learned more about the new infrastructures, tours, and so much more — it actually surprised me to see that my little hometown wasn’t exactly the same old simple home that I knew. Still and the same, I can assure you that no matter the changes, Batanes’ beauty will forever remain. Now without further ado, let me give you an idea on the activities that you can do when you’re in these islands for, let’s say, 5 days! With the help of Iraya Travel & Tours — a local DOT-accredited Batanes tour company that I recommend and trust — I have mapped out the itinerary below. Otherwise, with their assistance, you can tweak it around depending on the length of your stay. Enjoy! Locals are called as “Ivatan”. Our exact origins are still untraced up till now and we have a total population of only about 17,000~, making us the smallest province in the country. Our language is also called as “Ivatan” which is regarded as unique to that of Tagalog, the main language in the Philippines; hence, Ivatan is not just merely a dialect but it’s now regarded as a unique language in itself. Very low crime rates. In fact, there’s almost no crime at all which can be attributed to the Ivatan’s good nature as well as the non-existent poverty in the islands. As a child, the only main ‘criminals’ that I ever saw in my hometown were Taiwanese fishermen who were often caught at sea when they cross the borders of the Philippines to do illegal fishing, etc. For sure, Ivatans might just be one of the nicest and most trustworthy people you’ll ever meet in your travels! To prove this point, we have a couple of ‘honesty shops’ in the islands wherein nobody is attending the store: as a customer, you get the things you want to buy and then handle the payment yourself. Experiences 4 seasons. It’s not an official thing, but technically, Batanes has very cold and chilly days from November to February, with the hottest months from March to May (with April as the driest). The rest of the months are often rainy and August is the month where we mostly experience typhoons — speaking of typhoons, we’re NOT really constantly battered by ill weather. Given our northernmost location, we’re just often used as a reference point for weather reports. Sure, we have our fair share of typhoons but unlike popular belief, it’s not too common. 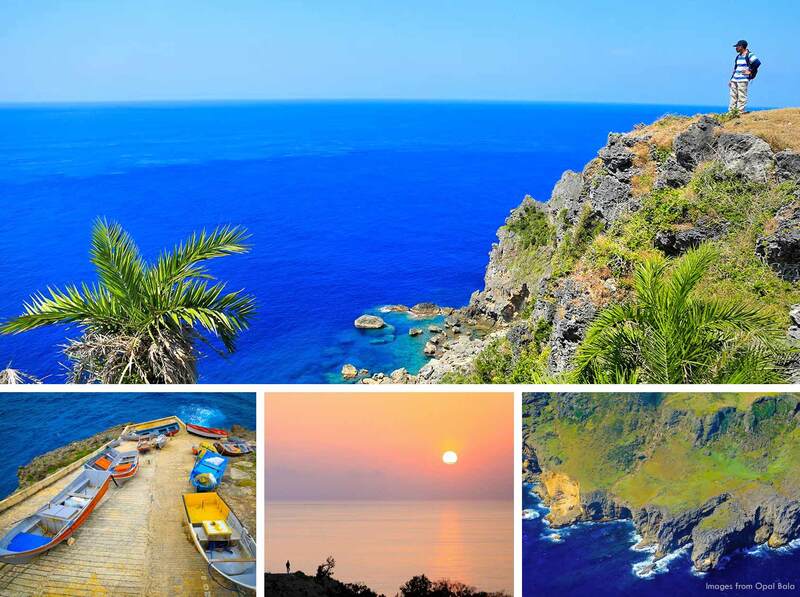 When would be the best time to travel to Batanes? Dry season which would be from December to May (with April being the driest). It’s the safest time to go if you don’t want to get stranded or have your flight cancelled/delayed because of bad weather (this is because the rest of the months are often rainy, with August being the month where we mostly experience typhoons). Where to get the best flight deals? Ticket prices are known for being expensive — it can range from Php 4,000 up to Php 15,000 (on average, it costs Php 7,000+). If you’re on a budget, how then can you get cheaper flight deals? Promos: There are regular seat sales that are being done by the above airlines and if you’re lucky, you can snag a roudntrip flight for just Php 500! Tour Operators: You can also subscribe or regularly inquire with Batanes tour operators so you are notified when there are seat sales or promos. From the airport, you can walk to the town proper to get to your hotel (it’s a really small town), otherwise you can hail tricycles there or arrange for a pick-up car beforehand. *For more Batanes hotel choices and the best price or packaged deals, I suggest checking out Agoda and Booking.com. (If you’re rather interested in renting affordable yet comfortable houses or apartments, always check AirBnB). There are NO money exchange facilities in Batanes, but there are a few ATMs (Landbank and PNB). It’s also best to bring Philippines peso cash in advance, and don’t bother whipping out your credit card because there are no establishments in the islands either who accept it. By jeepney. They journey around the island of Batan from 5:00AM to 5:00PM (you often just need to flag them down at certain areas). If in doubt, feel free to talk to a local. By tricycle. You can arrange this with your hotel or with a tour operator. We call them as “Batoda” and apart from taking you to and from near distances, they can also provide day rentals to help you explore the island. To go around the north of Batan, they customarily ask Php 1,000 and for the south, about Php 1,500. (In Sabtang, touring the whole island starts at a cost of Php 800). For details and contact numbers of tricycle operators, see here. By motorcycle or bike. You can rent a motorcycle starting at Php 500 a day (it can go up if you want a guide/driver, if you want a bigger motorbike, etc. and if you want per hour, it can be about Php 150 per hour). A simple bike would cost about Php 300 a day (or Php 25 per hour). If in doubt where to rent, just ask a local and they will direct you to the right place. By car. If you’re coming with a big group, it’s best to contact Batanes Iraya Travel & Tours so that they can arrange a packaged tour for you. After all, most of the cars that operate in Basco are owned by them. By boat. To get to the other inhabited islands of Sabtang and Itbayat, you will need to go through an exciting boat ride with our local boats called as ‘faluwa’. Sabtang boat trips (that spans for about an hour) depart from Ivana port from 6:00AM to 7:00AM — you can get to this port from Basco by renting a tricycle roundtrip transfer which costs about Php 440. The boat trip costs Php 100 per person each way, and once you arrive in Sabtang you will have to pay Php 200 environmental fee at the tourism office. Later on, you can take the boat ride back to Ivana starting from 8:00AM until 2:00 to 3:00PM (depending on the weather, there can still be boats at 5:00PM but it’s best to be at the Sabtang port before by 2:00PM — or better yet, just ask the locals what is the estimated time for the last trip back to Ivana). There are 3 boat operators going to Sabtang and I went with M/B Aljolyner since I personally know the owners. You can contact them via this mobile number: +63 928-244-5475. Itbayat boat trips are available from Basco every day from 6:00AM to 9:00AM in the mornings, and from Itbayat to Basco, around 11:00AM to 2:00PM. Per person, you will have to pay Php 450 one way. If you fail to catch the boat, there are no hotels in the island but you can always arrange a homestay with the locals or with your tour guide. There are also 3 boat operators going to Itbayat namely Itransa, Ocean Spirit and Veronica. For details, see here. Almost all Ivatans can understand and speak fluent English; but of course, it doesn’t hurt to use our language. We’ll be very impressed with you! Hello: Dius! (when you arrive at someone’s house) / Kapian ka pa nu Dius! How are you? : Ara ka mangu? I am fine: Taytu aku a mapya. Can I join you? : Maparin machivan? Wondering what Batanes food or Ivatan dishes that you must absolutely try? Now, before I begin with the itinerary guide, if in case you’re more of a visual person, you can already watch my video below to get a ‘peek’ into the adventures that you can do when in Batanes! Below is what’s commonly referred to as “Batan North Tour” — as the name implies, you will venture through the top spots in the northern part of the main island of Batan. I gotta say though… I couldn’t help giggling as Iraya Travel & Tours took me around because it was all a bit surreal — imagine, I was a true-blue local being toured around (where else but) in my own hometown! Anyhow, it was quite an experience and I surely saw Batan in a new light. Located at Sitio Tukon in Barangay Chanarian in Basco, this chapel is the most recently built worship house in Batanes and the only chapel adopted the stone house style. Its prime position above the hills has made it a popular spot not only for weddings but also for tourists who are looking for Instagram-worthy shots. This is Batanes’ only luxury hotel and rightly so as it is nestled above a picturesque hill that has a grand view over the sea and the surrounding Batan terrain. Rest assured, you’re free to wander inside its premises even if you’re not a hotel guest. You can also visit its indoor museum where Pacita Abad’s works are found. Who is Pacita? She is an internationally known artist who was a full-blooded Ivatan and Fundacion Pacita was her former home when she was still alive. This used to be a USA weather station and climbing to the top of it will offer you great panoramic views over the island. There are a total of 4 Idjangs in Batanes and this is one of them. In the olden times, the Ivatan people used it as fortifications (likened to castles) to protect themselves during times of war. originally, these are elevations that were formed by molten volcanic magma which acted as a plug on an extinct crater. Located in the hills of Tukon, this five-door tunnel that’s complete with a series of chambers, was a bunker that served as a lookout spot and a water reservoir during the Japanese occupation. This popularly known for its long stretch of boulders due to Mt. Iraya’s eruption in 400 AD. The rock formation, smoothed over time by the strong Pacific waves, presents a panoramic view over the horizon and of Mt. Iraya. Built between the 16th to 18th century, it’s a government building and commonly regarded as the center of the town (nearby, you will find a vast sports plaza where most of the island’s celebrations are usually held). This is the seat of the Roman Catholic Church in Batanes and it is the first parish church to be built in the early 18th century in which it was originally made up of cogon grass roofing. It was also the first to have galvanized iron roofing in the 1890s. The feast of its patron saint, Sto. Domingo de Guzman, is celebrated by the Ivasays every August 8. These are seemingly endless waves of rolling hills that are perfectly backdropped by the seascape. It is best enjoyed from afar, but it is also best experienced when explored on foot; plus, this spot is the best vantage point for an unhampered view of the province’s three major islands. (One of my fave hang-out spots when I was young!) An old sitio derived from the Ivatan words “na” which means past, and “idi” which means settlement. Located here are old wireless telegraph facilities by the Americans which were bombed by Japan during World War II. One can also get a breathtaking view of the town atop the hilltop 66-feet lighthouse. I remember visiting this place for picnics in the weekend with family, friends, and relatives! In 2005, it has been found that the marine life in this area is so rich and perfect for diving that it has been decided to properly protect it. After acquiring a pass, anyone can dive, swim, snorkel, and picnic here to enjoy its natural beauty. Towering over Basco at approximately 1,009 meters above sea level, this dormant volcano is the first attraction you will see upon landing in the airport. To get a picture-perfect view, timing and patience are required since its peak is almost always covered by clouds. As for climbing this mountain, it can be quite challenging because of its abundant endemic flora and fauna, but it’s absolutely doable. NOTE: It supplies the water in all households in Basco — so yes, when you’re in Batanes, you can drink from the tap! It’s safe and fresh spring water! Given that Batan is a huge island, this day will be spent on the southern parts as you go through the top highlights of the remaining areas: Mahatao, Uyugan, Ivana, Itbud, and Imnajbu. *If you’re ever pressed on time, this Batan South Tour can be combined with the North Tour and can be done in a day. But of course, it’s always best to take it easy so that you can have more time (and photo ops!) in each location. Remember: you should make the most of your trip here! A perfect spot to enjoy Batanes sunsets! Via a nearby staircase, you can also descend more than a hundred steps down to the adjacent cliff to fish, take pictures, or frolic in the waters. Located in Mahatao, this supports the goals of the fishing industry of the province namely: fish sufficiency and generation of employment. It was constructed in October 2005 and as a 130-million pesos project, it is the biggest infrastructure project by the Provincial Government at that time. The area was chosen because of its cove-like structure that gives good protection to the boats during inclement weather. Its beauty and excellent state of preservation made it a National Cultural Treasure by the National Museum of the Philippines in 2001. Outside the church, you will also find a typical olden Spanish lamp post — two vertical structures about 30 meters apart that were used to be manually lighted with fire so that the local fishermen could identify how far the shore is. Located between Ivana and Mahatao, it’s an interesting spot because back in the Spanish era only the Spanish were allowed to take a dip there. A cove with multi-colored rocks and white-colored sand, this spot can easily rival the beauty of Boracay! It is located along the national highway about 9 kilometers from Basco and is being maintained by both Mahatao and Ivana Local Government Units (LGU’s). This was constructed and formed as part of the main road of Ivana during the Spanish period as the road leads to the doorstep of the Church. It is still being used to date by people and trucks alike. Probably the most photographed Ivatan house in the islands, this was built of lime and stone in 1887 and owned by Luisa Estrella who bequeathed it to her favorite nephew, Jose “Dakay” Estrella. A survivor of the destructive earthquake of September 13, 1918 which has destroyed much of the rest of the town, its shutters and floor have never changed and has retained much of its authentic look throughout the decades. Built in 1784 by Fr. Jose Fausto de Cuevas, it is the only church in Batan with a separate bell tower that was constructed 30 years later. Built by the coastal area, it is here where Katipunero revolutionaries that commanded by Captain Perea have landed on September 18, 1898 to liberate the province from the Spaniards. An unmanned refreshment store which has become famous worldwide. Showcasing the best of Ivatan’s honesty, in here you will find no standby seller because the owners rely on the honesty of its customers when they pay for goods taken from the store. Remnants of an old settlement which were ravaged by tsunami in the 1950s. Residents were given homesteads in Mindanao under the Magsaysay resettlement program and today, it is a thriving coastal community again. This is where the best-tasting local wine called palek comes from and where maytuab and sinadumparan (local Ivatan stone houses) still stand. It had the largest population on Batan’s south-eastern part in the 18th century due to stable water supply spring and a well-fortified idjang. One of the 4 Idjangs in Batanes. In here, rock carvings are still evident (probably for water storage), as well as their gathering/meeting area and the rocks with bored holes for anchors are still intact. Offers a captivating view of several rolling hills and the vast expanse of the sea — a location made popular by the Filipino movie “Hihintayin Kita sa Langit”, starred by Richard Gomez and Dawn Zulueta. “Long-Range Aid to Navigation” where the US Coast Guards were based. Its lawns and buildings that were once beautiful and well-kept have deteriorated and were ruined after the Americans left and abandoned it in the 1960s. Today, it is a National Museum Branch. Dubbed by American tourists as Malboro Country because of its similar contour, endless rolling hills, and wind-swept communal pasturelands for cows, carabaos and horses. For sure, this is a perfect spotfor nature-lovers and photographers. A sitio in Basco’s eastern part where an association of fishermen called mataw still practice the traditional fishing for arayu (dorado type of fish). They also still observe an old ritual called kapayvanuvanua which signifies the start of the fishing season in March. A row of private picnic house with basic facilities adjacent to a government-operated recreation building featuring two bowling lanes and a billiards room. Erected in 2000, this colonial-looking beacon offers a spectacular view of the Pacific Ocean, as well as other parts of Batan Island and its rugged mountain cliffs that face the West Philippine Sea. A man-made pool with spring water and a view of the Pacific Ocean and Mt. Iraya. This spot is truly ideal for picnics (and photo ops!). Sabtang is one of the inhabited islands in Batanes and depending on the strength of the waves, it is an “exciting” 30 to 1 hour boat ride from Ivana in Batan Island. TRIVIA: I may have been raised in Batanes but I have never — I repeat — never had the chance to visit Sabtang nor Itbayat. Yes, I know, shame on me! For years, I’ve heard of tales from my family and friends about the beauty of these islands and its “eventful” boat rides; so it was about time that I finally headed over to this place… and boy, I absolutely regretted not coming sooner! Otherwise, you can DIY this trip. Sabtang boat trips (that spans for about an hour) depart from Ivana port from 6:00AM to 7:00AM — you can get to this port from Basco by renting a tricycle roundtrip transfer which costs about Php 440. The boat trip costs Php 100 per person each way, and once you arrive in Sabtang you will have to pay Php 200 environmental fee at the tourism office. Later on, you can take the boat ride back to Ivana starting from 8:00AM until 2:00 to 3:00PM (depending on the weather, there can still be boats at 5:00PM but it’s best to be at the Sabtang port before by 2:00PM — or better yet, just ask the locals what is the estimated time for the last trip back to Ivana). There are 3 boat operators going to Sabtang and I went with M/B Aljolyner since I personally know the owners. You can contact them via this mobile number: +63 928-244-5475. As for touring the island by yourself, you can rent a tricycle at the port for Php 800 (2 pax). TIP: The boat ride can get a bit wet, so it’s best to bring a waterproof bag for your essentials. A village which is abound with traditional Ivatan houses. In fact, it is the area where the endangered black face spoonbill was sighted years ago. To this day, it continues to fly in the area. Among the 4 Idjangs in Batanes, this is considered to be the most beautiful and perfectly shaped. Located between Savidug and Chavayan, this place offers spectacular view of nature and the Pacific Ocean. Take your sweet time lounging here since the sights are quite stunning! This is arguably the cradle of Ivatan culture and heritage. Famous for its rows of old houses, narrow streets, and old sites, Chavayan is likely to leave lasting memories on your visit. Its Chapel, the only church in Batanes still roofed with cogon grass, is a stone’s throw away from a picturesque shore. One of the iconic and most photographed spots in Batanes because of its natural rock arch formation in an ideal beach cove. If Sabtang island will leave you speechless, Itbayat island will make your mouth drop to the floor. Then again — traveling here is no joke! The waves can be harsher than the journey to Sabtang and it will take about 2 to 4 hours; yet without a doubt, it will all be worth it! NOTE: If the 4-hour boat trip doesn’t sound ‘fun’ to you, you can also fly to Itbayat via NorthSky Airlines which is a small 8-seater plane that flies every Monday, Wednesday, and Friday. It takes about 15 minutes and the fare will be about Php 1,800 one way. However, please take note that it will only fly if ALL seats are full. Now, since the waves can be quite volatile, it’s best to inquire about this trip beforehand with the Ivatan locals. Otherwise, it’s better that you have spare days on your trip just in case you can’t ride a boat back to Batan island because of bad weather. Otherwise, you can DIY this trip. Itbayat boat trips are available from Basco every day from 6:00AM to 9:00AM in the mornings; and from Itbayat to Basco, around 11:00AM to 2:00PM. Per person, you will have to pay Php 450 one way. If you fail to catch the boat, there are no hotels in the island but you can always arrange a homestay with the locals or with your tour guide/operator. There are also 3 boat operators going to Itbayat namely Itransa, Ocean Spirit and Veronica. For details, see here. As for touring the island by yourself, you can rent a motorbike (with a guide at Php 1,000 for a day) or a tricycle (at Php 2,000 for a whole day, good for 2 to 3 pax). The most ancient dwelling place in Batanes. It is believed to be the first landing place of the Austronesians who came from Formosa, Taiwan in 4000 BC. Today, it is an area where stone boat-shaped burial markers are found, and it is is believed that this is the burial grounds of the cave’s ancient settlers. An underground stream which flows to the sea and is a newly-developed water source for the community. Must-see! This is a natural park comprised of forest, cliffs and rocky hills where bonsai arius trees are abundant along a grazing area for goats. One unique formation that you’ll find here is a flat stone which lies naturally upon another stone and when you strike it with another stone, it produces a bell-like sound. Apparently, it served as an alarm for the ancients inhabitants against approaching enemies and a signal for community meetings and for gathering goats. A sinkhole that serves as the town’s giant drainage. It was explored by a German doctor named Gechard Schmith in 1993 and was found to be around 45-meter deep and has two big chambers with a narrow passage in between. Apparently, it’s regarded as a ‘haunted’ sinkhole because it is where the ancient Ivatans threw witches as punishment according to the old justice system. These are combinations of European and Itbayat architecture with thick walls of stone and lime and several layers of cogon for roofing. They are proven to withdstand strong typhoons, earthquakes and other calamities, and can withstand the harshest ‘local’ winter from December to February. The town’s highest point at about 280 meters above sea level. The historical significance of this mountain is that is the other ‘pair’ of Mt. Riposed which is one of the island’s foundations and old settlement for the early settlers. As one of the two volcanoes considered to have been the foundation of Itbayat, it affords a breathtaking panorama of the different parts of the island. Abou a 4 to 5-hour boat ride from Itbayat, Siayan is acknowledged as one of the most beautiful spots in the area. This is basically an 87-63 hectare island surrounded by beautiful white beaches and rich coral reefs which is home to lush marine life. (The same goes for the nearby uninhabited island of Mavulis). As you can see from the Batanes map that I’ve posted at the beginning of this post, there are uninhabited islands in Batanes such as Y’ami, Ditarem, Dinem, Siayan, and Misanga. Depending on weather conditions, you can travel to these places and the boat rental cost can start from Php 6,000. Instead of having the luxury of motor transportation to go around the island of Batan, you can opt to challenge yourself and get fit! After all, traveling from Basco to the southern parts and back is perfectly doable in a day (I did this a lot with my high school friends back when I was still living in Basco). NOTE: During fiestas, you can visit any house to celebrate, meet, and eat with them — yes, even if you don’t know them! Everyone’s welcome to do so. Back when my Ivatan friends and I were younger, we often jokingly comment that this house-hopping spree during fiestas was like a grand buffet experience because we can survey the houses and pick the best food spots. LOL. Other than the fiestas above, do come visit during Christmas. We have a lot of events happening during the holidays while also enjoying a real chilly December (which is not so common throughout the Philippines). 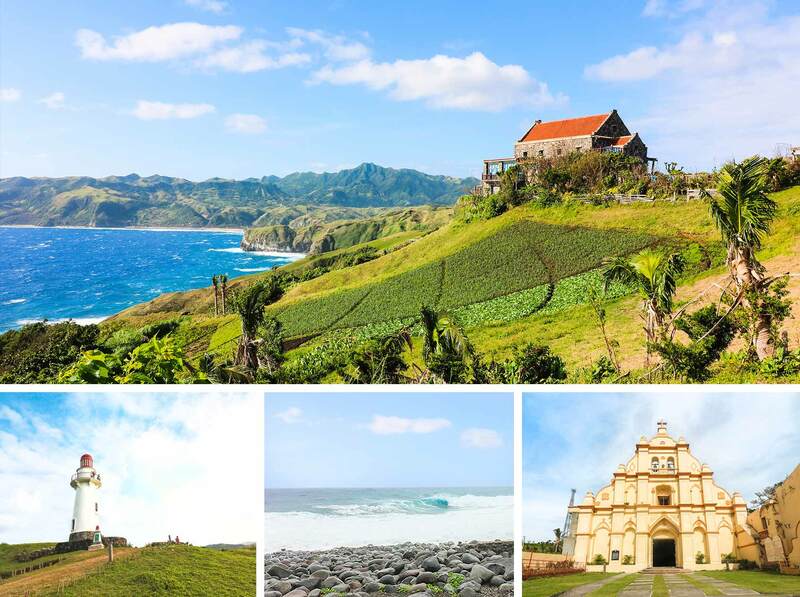 It’s clear to see that Batanes has a LOT to offer — and more! In fact, it might just have something for just about anyone. So what are you waiting for…? If you’re looking for a tranquil escape or an unforgettable vacation, make your way to this northernmost paradise of the Philippines and I guarantee you that it will be worth your while. 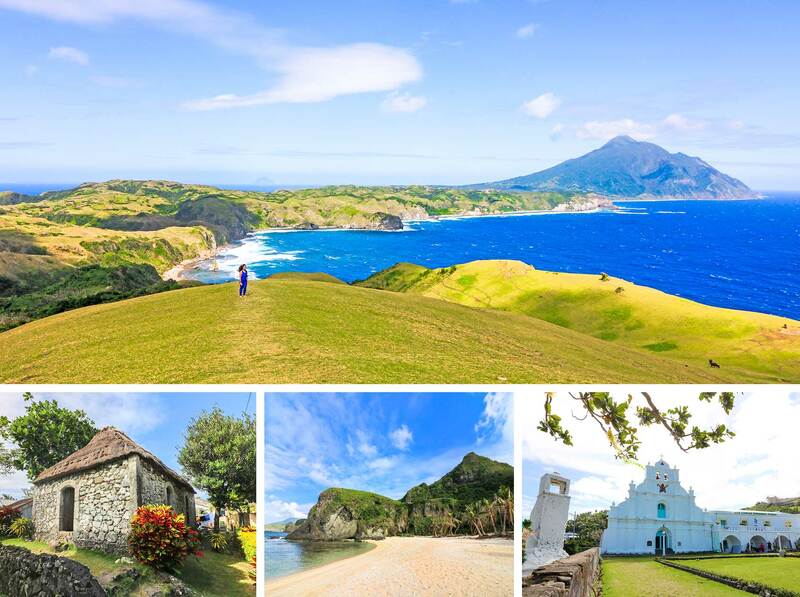 What do you think of Batanes? What spots in Batanes would you like to see the most? Why or why not? Or have you visited here before? How was it? I sure wish we were able to travel more. This looks like an amazing trip. Thank you for sharing it! Wow! There's so much to do in Batanes I wouldn't even know what I'd like to see first! Lol I would love to attend Of of the many festivals to experience the culture of Batanes. Thank you for such a detailed and informative description! This is island hopping at it's best!! I have always wanted to have an experience like this. Thank you so much for sharing and giving me a bit of insight on how to do it once I get the chance. And I hope you do! I can't believe how beautiful the Batanes Islands are. Your photos are as pretty as postcards! If I'm ever lucky enough to go, I'd love to have a picnic at The Kural Marine Sanctuary, see the views from Rapang Cliff, and visit The San Jose de Obrero Church. Thanks (as always) for such a lovely tour! Wow! This is such a helpful post for someone visiting the islands. I would definitely print this out if I was going. I've never been to the Philippines before but it looks beautiful. Very cool that you grew up there too. I bet my Philippine friend would love this post. I thought your hometown is Manila! Batanes really looks like a paradise. It was actually one of the places we considered for our prenup this year. However, we were worried about the weather since our photoshoot was scheduled around Nov-Feb and there was high chances of rain. This post is very helpful to learn about good places to visit in Batanes. I was here in January and it was cloudy at times, but still generally sunny! It's June to August that it gets a lot rainier. Anyhow, I hope you could visit soon still! Well I feel like I went on that trip with you! Wow. Next time I Need to go on a trip i am going to have you plan it because this was a fantastic adventure. Thank you for all of this information. I love how detailed your itinerary and maps are! That's so helpful -- there are a lot of places I want to go but have no real clue, and your post just breaks it down so enjoying all the beautiful things here is easy! I'm very happy to hear that! Thank you! Supporting another person's success won't ever dampen yours.